Alma and Em will delight our audience with a short presentation of their work and an informal chat on their practice and creative process. Both artists use photography and mixed media to create thought-provoking imagery that crosses both the commercial and artistic arena. 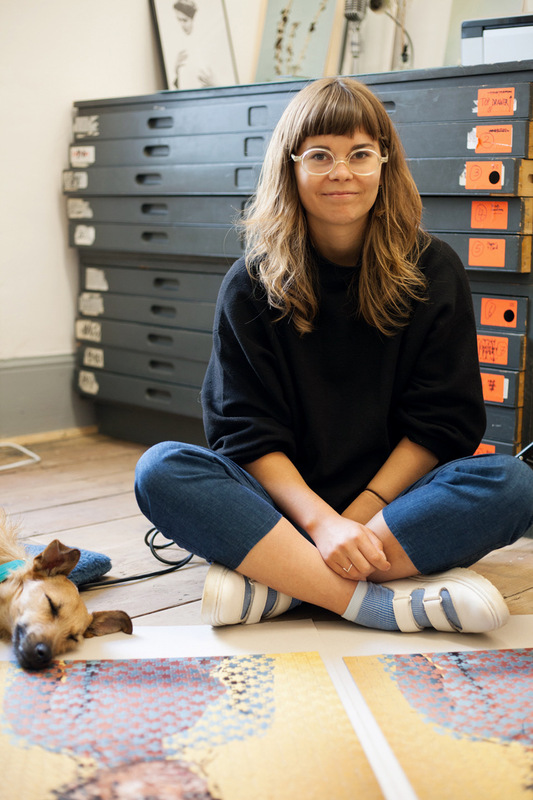 An image maker with Degrees in both Material Design and Information Experience Design, Em Cole is a visual artist working between the intersections of art and technology. By pushing the boundaries of what The Photographic Image means today, she explores critical viewpoints on human communication in a post-digital age. Influenced by what she feels our overstimulated, desensitised minds are craving, her visual style combines sensory stimulating materials and brazen humour. Born (1989) into an artistic family in the Black Forest, Germany, Alma Haser is based in the south east coast of England. Specialising in carefully constructed portraiture influenced by her creativity and background in fine art, Alma creates striking work that catches the eye and captivates the mind. Expanding the dimensions of traditional portrait photography, Alma takes her photographs further by using inventive paper-folding techniques, collage and mixed media to create layers of intrigue around her subjects, manipulating her portraits into futuristic paper sculptures, and blurring the easy distinctions between two-dimensional and three-dimensional imagery.